If you’re looking for a veggie-filled lunch to give you that push to get through the rest of the day, let us help you out! 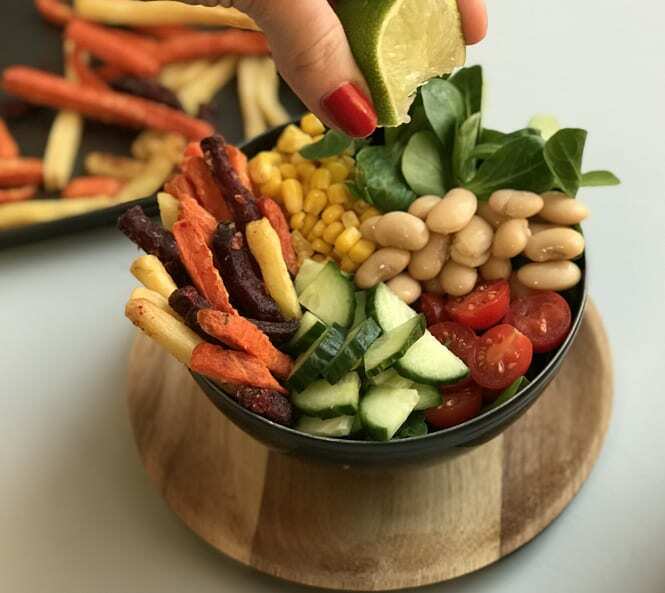 Our Butter Bean Buddha Bowl is the perfect combination of light and hearty, with our Mixed Root Vegetable Fries rounding out this earthy and flavourful bowl. Preheat the oven to 200°C. Cook the Mixed Root Vegetable Fries as per pack instructions. Once the fries are cooked, arrange the selection of salad ingredients in the bowl. Finish with a squeeze of lime and season to desired taste.